Pokkén Tournament has made its bow in Japanese arcades - the Bandai Namco-developed brawler has had plenty of months in build up and playtests and is now out in the wild. 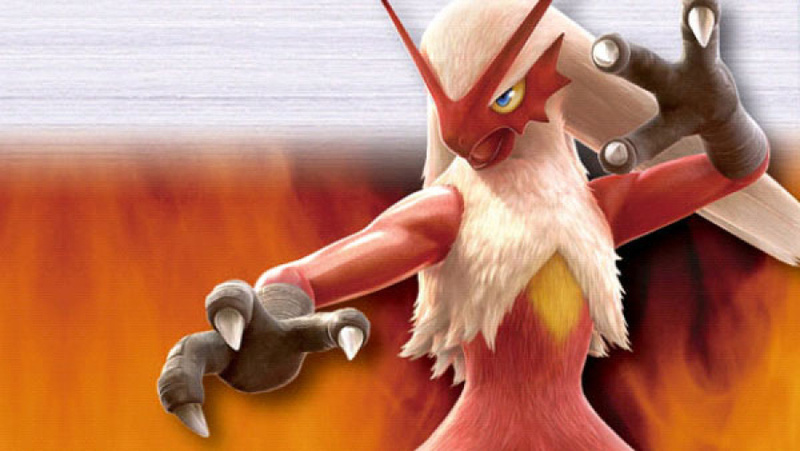 Accompanying the launch was a Famitsu announcement that Blaziken will be added to the game in August, and the début trailer has now been released. There was a live stream to celebrate the launch yesterday, too, and if you fancy two hours of footage and banter in Japanese, YouTuber MaxEzzy appears to have one of the higher quality uploads available. It was confirmed recently that consideration is being given to bringing the arcade to the West in the future, which would certainly be welcome. As there are some Mario Kart GP DX cabinets kicking around outside of Japan, it's clearly not out of the question. Are you hopeful of tracking down a cabinet to play this in future, or are you holding out and dreaming of a console port? I just have not been paying attention to pokken tournament because I doubt it will come to north america anytime soon. Now if they add blastoise, then I might have to pay attention! I think Pokken would be an excellent addition in the West although I would strongly prefer a Wii U edition over an arcade. Nice. The way the camera is angled in the makes me think of the FF Dissidia games. I'll wait for balancing info to get a better picture, but what I've seen so far seems extremely spam-centric and uninteresting. @Aozz is it sad that I know the scene from where that is with Bugs bunny? I dont play Pokemon or fighting games. Yet even I want to buy this on Wii U.
Blaziken's voice sounds an awful lot like Ultraman. Why Pokken Tournament instead of Pokemon? Are these anthromorphized Pokémon or something? Is the fighting in 2D or 3D? Kind of looks like 2D but that camera is all over the place. We would probably get this on Wii U but we'd rather have DragonBall Xenoverse. I need arceus, as a playable character. Consoles. Arcades are dead enough in North America. Console would be my only way of playing. And it has Pokemon in the title (well, close enough), so if Pokemon Conquest can sell, so can this. Why do I get this odd feeling that it is going to be an NX launch title? I doubt this will happen, but if they bring it to the Wii U then I'd buy it. Not surprised Blaziken is in the game. I would like to see them add Barbaracle just for silliness' sake. I'm waiting for the NX release. @rjejr it switches between 3D and 2D actually. I'm not entirely sure what triggers the switch mid-fight (or rather, I forgot), tho. Well that's intriguing. When can we get a 3D SSB game? Ah, well that makes sense, thank you very much. @GamePerson19 Because it probably is!! That's why they've been coy about a NA release. I'd bet anything it becomes an NX launch title, it fills in the "fighting game" category quite nicely for their new system debut. @rjejr happy birthday yet? Have I missed it? So long as this isn't coming to the Wii U, I'm not interested in this in the slightest. It looks fun, but it's pointless getting hyped for stuff you can't get to play anyway. Man, I have never played Tekken before but I have played Pokemon, SSB, and Street Fighter and I am extremely pumped about this game! Hope it somehow makes it to the US. Shut up and take my quarters!!! (yeah in all honesty an arcade wpuld be cool but the Wii U NEEDS this game. It belongs on the Wii U. That would add to the lineup of 1st party titles so well. We would have a MK8(racing), Smash(new school fighter), Splatoon(fps), Starfox(on rails shooter) Mario Maker(sandbox) 3D world(platformer) Pokken(traditional fighter) Xenoblade(Rpg) and Zelda(adventure)... all we'd be missing is a legitemate Metroid Title and the Wii U would have nailed it. @FragRed NX launch title maybe? non the less, blaziken is fun to see in action, really wanted in smash over lucario, o well. Most fighting games come out in arcades before consoles. I trust Nintendo enough to give us this eventually... and hopefully in the west, too.